Definition at line 957 of file MemorySSA.h. 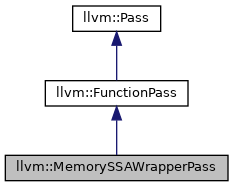 Definition at line 2228 of file MemorySSA.cpp. 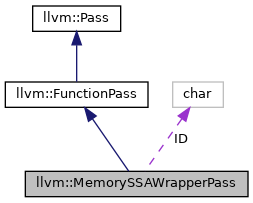 Definition at line 2234 of file MemorySSA.cpp. Definition at line 965 of file MemorySSA.h. Definition at line 966 of file MemorySSA.h. Definition at line 2249 of file MemorySSA.cpp. Definition at line 2232 of file MemorySSA.cpp. Definition at line 2240 of file MemorySSA.cpp. Definition at line 2247 of file MemorySSA.cpp. Definition at line 961 of file MemorySSA.h.